"Relaxation techniques are great tools for dealing with stress and promoting long-term health by slowing down the body and calming the mind,” Used daily, these techniques can lead to a healthier outlook towards stressful situations and a decline in stress-related disorders such as anxiety, high blood pressure, high cholesterol, diabetes, insomnia, etc." A simple but effective method of relaxation. "It works well in conjunction with other relaxation techniques such as Progressive Muscular Relaxation, imagery and meditation for reducing stress,"
Inhale. Close your mouth, loosen your shoulders, and inhale as slowly and deeply as you can. Hold. Keep the air in your lungs as you slowly count to 6. Exhale. Release the air through your mouth, again slowly counting to 6. Repeat. Go over the inhale-hold-exhale cycle 5-10 times. This is good for relaxing your body, especially when your muscles are tense. It requires slowly tensing and then releasing every muscle group individually, from the toes all the way up to the face. "It is useful for calming nerves before an important presentation or performance, and for quieting down when you are highly stressed,"
Relax your body muscles (you can use a technique like Progressive Muscular Relaxation for this). Breathe in deeply, then exhale. Count your breaths (gives you something to do with your mind, helping avoid distraction). Repeat this for 10 or 15 minutes. "This is when you hypnotize yourself. Affirmations are often used -- positive statements we repeat to ourselves to counter stress and unpleasant thoughts. An example of an affirmation is 'I feel vibrant and alive. I love how I feel'," Sit down at a quiet, comfortable place. Relax your body. Imagine waves of relaxation running down your body from your head downwards, washing away stress. Feel the muscles in your body relaxing as waves of relaxation wash over them. 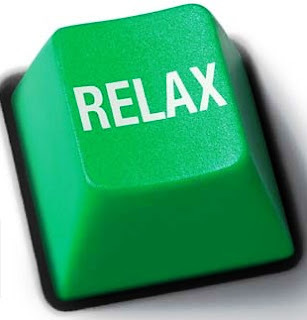 Next, utilize suggestion to deepen the state of relaxation. You can do this by simply saying to yourself: 'I am tired and sleepy. I can feel my arms and legs getting heavier. I am becoming more and more tired?' Once you feel completely relaxed, add the affirmations you have prepared too. If you have tried it, you already know that it can help you achieve your goals with more focus and renewed spirit. "Yogic breathing reduces blood pressure and brings intense relaxation. Furthermore, it gives you improved appearance via better posture, muscle and skin-tone, if practiced regularly. Bones and muscles are strengthened and joints become more flexible. It is also amazing to see how much more positive a person's outlook on life becomes within just a few months of practice,"
You may have noticed how particular environments can be very relaxing, while others can be extremely stressful. This is the idea behind the use of imagery in stress reduction. "You use your imagination to recreate a scene, place or event that you recall as being relaxing, safe, peaceful, beautiful and happy. You can bring all your senses into the image by, for instance, imagining sounds of running water and birds, the smell of cut grass, etc. Use the imagined place as a peaceful retreat from stress and pressure,"
Another approach is listening to calming music or relaxation tapes. Soothing music has a lot of power to influence your thoughts and feelings. "It takes no effort from your side to listen to these. Moreover, they can be very welcome at the end of a long day,"
With continued practice in the techniques enumerated above, you may experience renewed energy, better concentration, better ability to deal with problems, more efficiency in daily activities, less indigestion, headaches, nausea, and less frequent emotional responses like anger, anxiety, crying, anxiety, apprehension and frustration. Sounds good, doesn't it? What are you waiting for?